Our carpet cleaning in Patterson Lakes 3197 is a reliable service, aimed at ridding your rugs and carpets from all manner of dirt, spills and stains. Our staff have access to a range of fantastic, high-tech tools and cleaning equipment - allowing us to deliver a wide range of services, including steam and dry cleaning, with ease. When you book us for carpet cleaning services in Patterson Lakes, you'll be signing up for one of the most professional and effective services on the market! Every member of our team boasts an extensive training, as well as years of industry experience - allowing us to deliver fantastic results on every job. Our high quality products will leave your carpets smelling fresher, as well as looking cleaner! 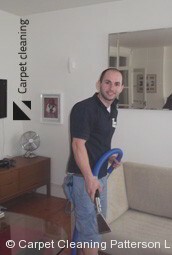 Book Carpet Cleaning Service in Melbourne Now! Get in touch with us today - on 03 8672 2771. Lines are in operation 24/7, and our team of helpful staff will be able to help you make a booking, or answer any questions you have. You can even get a free, no-obligation quote for Patterson Lakes carpet cleaners! Alternatively, you can also get a free estimate online - simply fill out the form on this site now, to request a quote for professional carpet cleaning in Patterson Lakes. "Sometimes having a huge house is not a good thing, especially when it comes to its maintaining. That is why I hire you for the cleaning. Because I know that..."
"It is really hard these days to be sure In the services that you pay for. That is why as a client of yours for a whole year now, I don't intend to hire..."
"The main problem with the professional cleaning which I had till that moment were the impolite cleaners. This was not the case with you guys. The cleaners..."